Any deviations in the chemical dispensing of the Hydromix chemical dispenser are reported immediately, precisely and automatically. 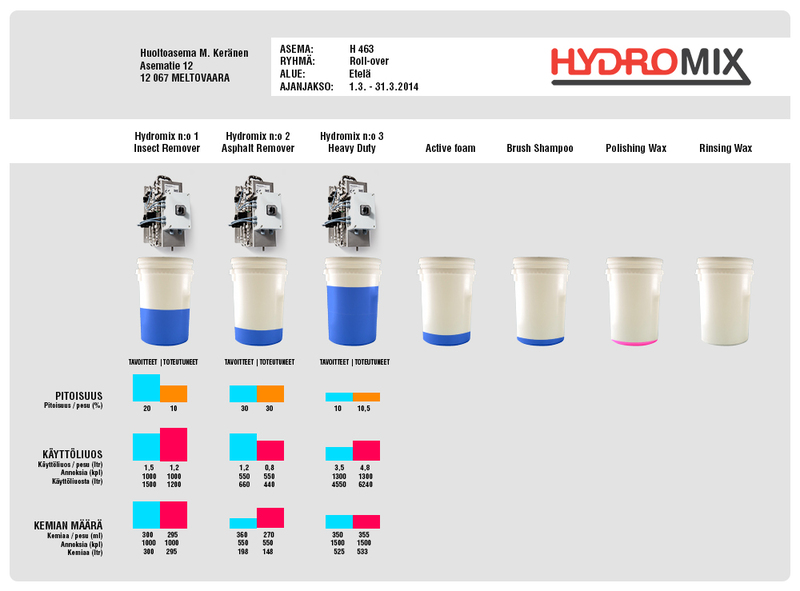 Hydromix monitors chemical dosing per each individual wash so that there is no possibility of an overdose or an under-dose. This ensures a continuously even wash quality. In case there is a deviation in the dosing compared to the pre-set requirements, for example when a chemical is used up completely, the device will immediately send a report to an e-mail address or a mobile device. This helps to avoid the sales of faulty washes in advance.